Nektarios was born in Thessaloniki in 1982. His passion for the mountains started at the age of 17. At the age of 18 he became a member of Hellenic Rescue Team on mountain rescue department. He enjoys to volunteer and dedicates himself to continuous learning and skills development. He has been trained by Hellenic Federation of Mountaineering and Climbing and by Hellenic Rescue Team. George Malamas was born in Kalamata in 1981. His passion for the mountains begins at the age of 8 when he started hiking with his family. At the age of 11 he started participating in organized base camps for kids on mountain Taygetos at 1.350m. He has been trained by the Hellenic Federation of Mountaineering & Climbing and by the Hellenic Rescue Team. 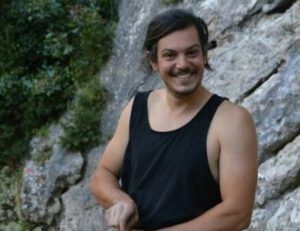 He dedicates himself to lifelong learning and he continues his studies for the knowledge of the mountains, as an official Mountain Leader, an authorized Climbing Instructor, and at the University of Patra in Humanities Department at History class.He has climbed all the greatest slopes of Greece. He has carved out and created more than 100 new climbing routes.He has also climbed the Himalayas, the Pamirs, the Alps, the Dolomites, the Caucasus, the Tatras, the Carpathians, on both rock and ice routes. 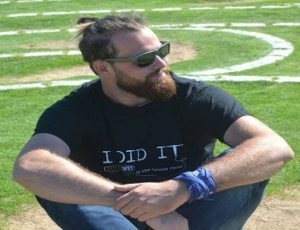 Since 2009 he works as an instructor in charge of climbing and hiking excursions for private schools, promoting the culture of climbing to children from the age of 5 and above. In 2013 he establishes ‘Climb Up’ and at the same year he starts cooperating with Costa Navarino Resorts as a third party operator. Until 2017 he was the main tour leader and the exclusive climbing instructor and supervisor for all the hiking and rock climbing excursions. 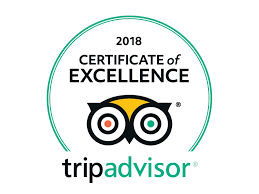 The same year he started his cooperation with the British ‘Neilson Resorts’ and together with the team of ‘Climb Up’ provides the guidance for all the hiking, climbing and cultural excursions. 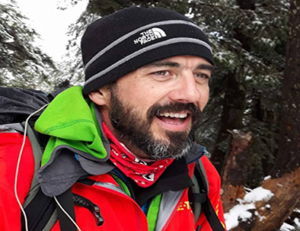 He expresses his passion for volunteering by being a member, an instructor and a supporter of the Hellenic Rescue Team since 2010. Albania, Austria, Belgium, Bosnia and Herzegovina, Bulgaria, Croatia, Egypt, England, France, Georgia, Germany, Holland, Hungarian, Ireland, Israel, Italy, Kyrgyzstan, Luxembourg, Moldavia, Montenegro, Poland, Portugal, Romania, Russia, Serbia, Skopje, Slovakia, Switzerland, Tadzhikistan, Uzbekistan. She was born in 1984 in Athens. The capital was big enough for her but not as free enough she wanted. From early beginning she started hiking the areas around Athens and to the countryside. In 2003 she succeed her exams and she had the luck to move to magical Kalamata. Right away she starts searching for the local active community and the first person she meets is George, the founder of ‘Climb Up’. 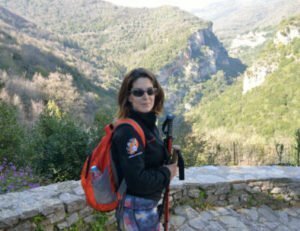 She grabbed the opportunity and she starts hiking all around south Greece and at the same time she attends at both climbing and mountaineering schools certified by the Hellenic federation of mountaineering and climbing to improve her skills. In 2010 having already her first child, she works with children at the climbing wall of a private schooll and she introduces them in climbing. She had cooperation with summer camp “fotohara” for 2 years as a climbing supervisor and an entertainment manager. In 2013 started working with ‘Climb Up’ as an assistant and in 2015 she also took over office obligations. At 2017 she establishes a new innovative tourist office named as ‘Trek and Travel’ authorized by the Greek Ministry of Tourism. Nicky’s ultimate goal is together with Climb Up and with all the important local businesses to promote an integrated product value for money. After working at a laboratory as a Dental Technician in Athens I came back to my hometown Kalamata.As a nature lover I could not keep working in laboratories and I wanted to discover the nature more and more. From a single hiker I tried sport climbing and I saw that it was something that made me happy. At the climbing lessons I met George (my climbing and mountaineering instructor) and helped me to discover the sports (climbing, mountaineering, etc) that I could do in the nature and change my old habits-hobbies. The new habits became part of my life and I decided to do the big step and study to the Hellenic Federation of Mountaineering & Climbing. George helped me a lot in the part of the studies also in the part of the work.It’s a life time education and I want to discover it until the end!! After the studies and the journeys we had with George, he gave me the opportunity to join his team and work with him and the rest of the team of Climb Up. Besides my biggest interests, I could mention that a big part of my life are motorcycles. I ride motorcycles from the age of 16 and I own motorcycles 19 years old. I am a v-Twin lover and in my free time I try to discover my country on a motorcycle! Last and big interest is the exploration of new countries, I love travelling abroad and learn the history, the culture and taste new flavors different from those I try everyday in my country! Themistoklis Tranos was born in 1992 in Athens. His passion for nature was evident since he was 6 years old, during which time he attended his first camping; a passion that hasn’t been extinguished since.